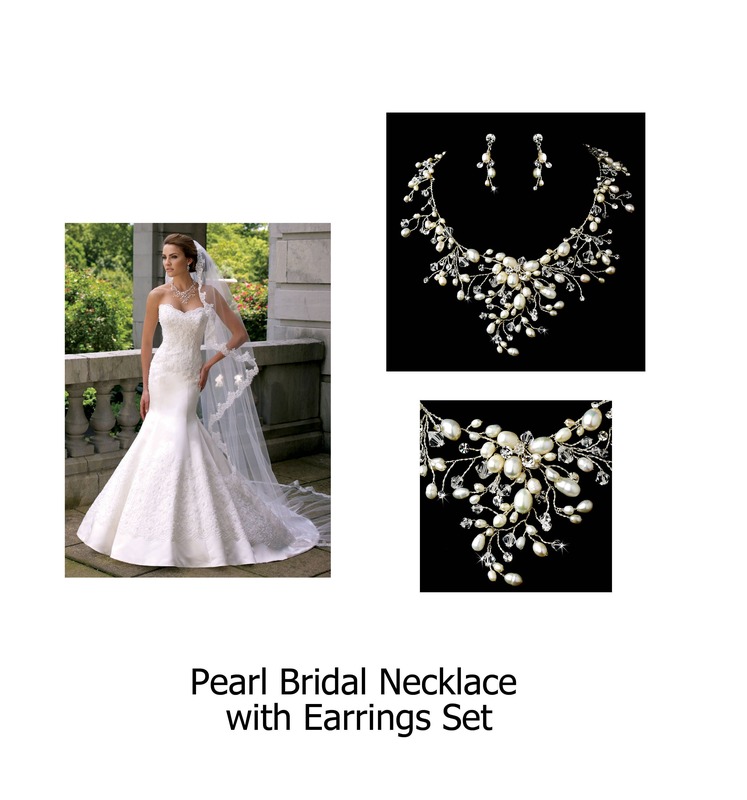 Bridal jewelry set features a fabulous collection of adornments that will definitely make you feel extraordinary on your special day. 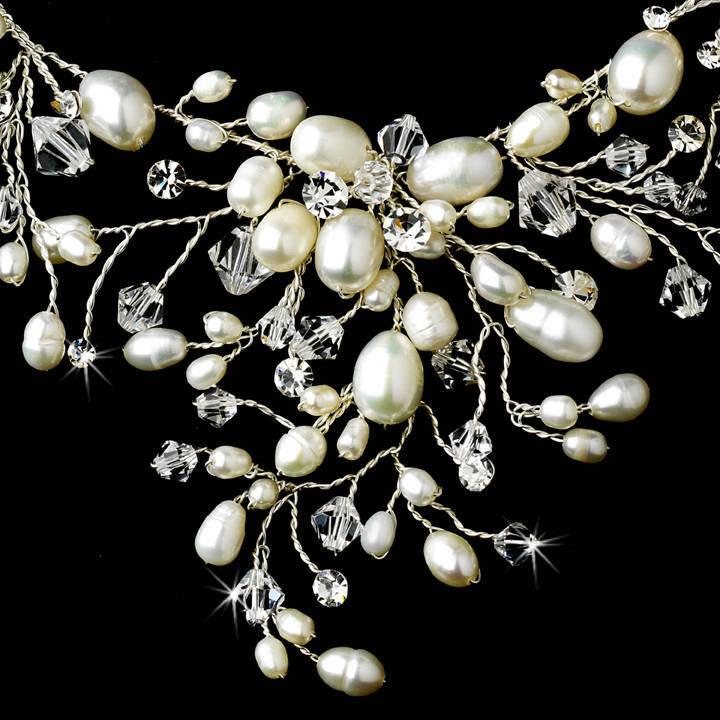 The divine necklace in this set features dramatic sprigs of sparkling clear round rhinestones, lustrous clear Austrian crystal beads and lustrous ivory freshwater pearls elegantly strung on delicate silver wire. 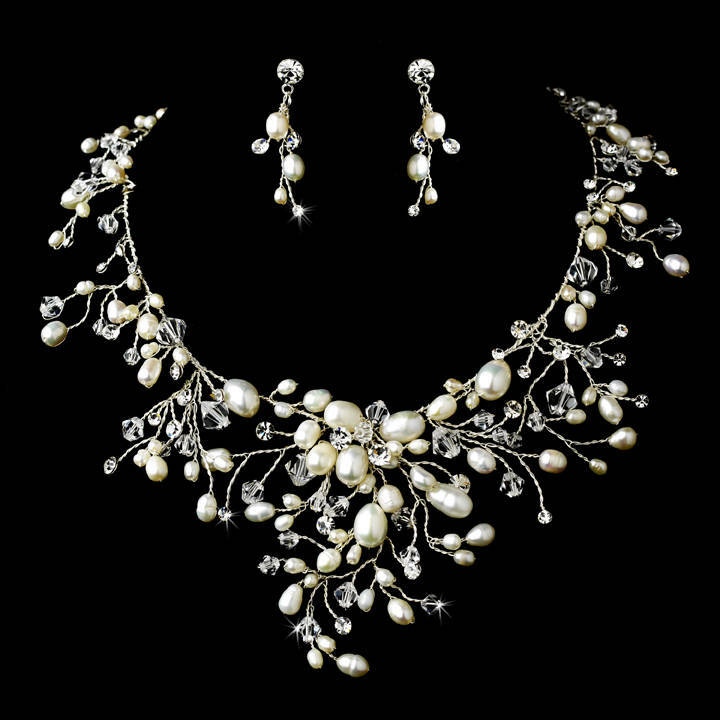 The earrings mimic the same fabulous style as the necklace with all the same gorgeous gemstones. 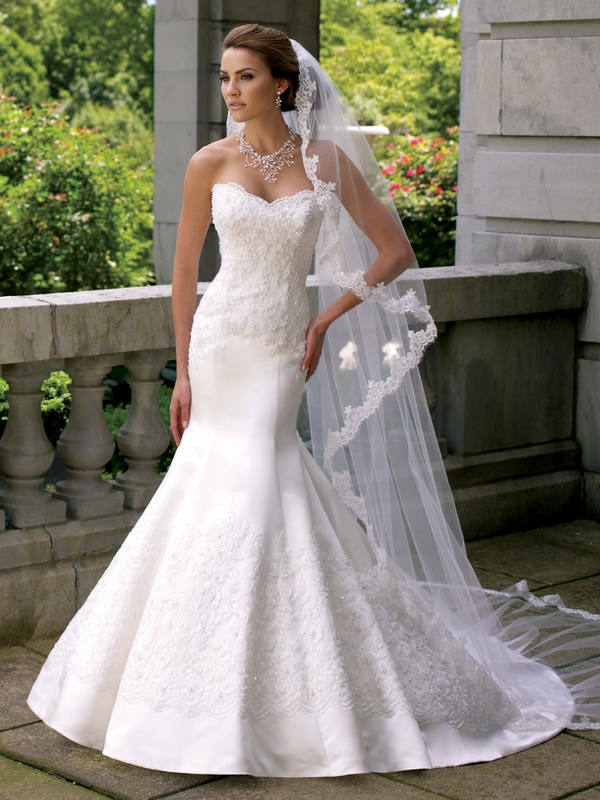 This set would look outstanding on any classic or modern bride with an ivory wedding dress.